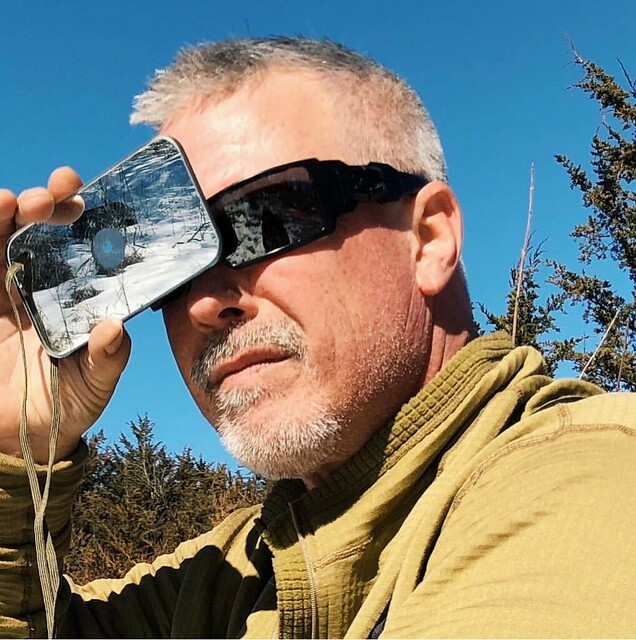 Discussion in 'Events' started by IA Woodsman, Oct 29, 2018. I will be teaching a Basic Class November 24-25. I promise it will be more fun that shopping. Here is the link to enroll. Learn to adapt, improvise and thrive in the wilderness while under close and safe supervision. 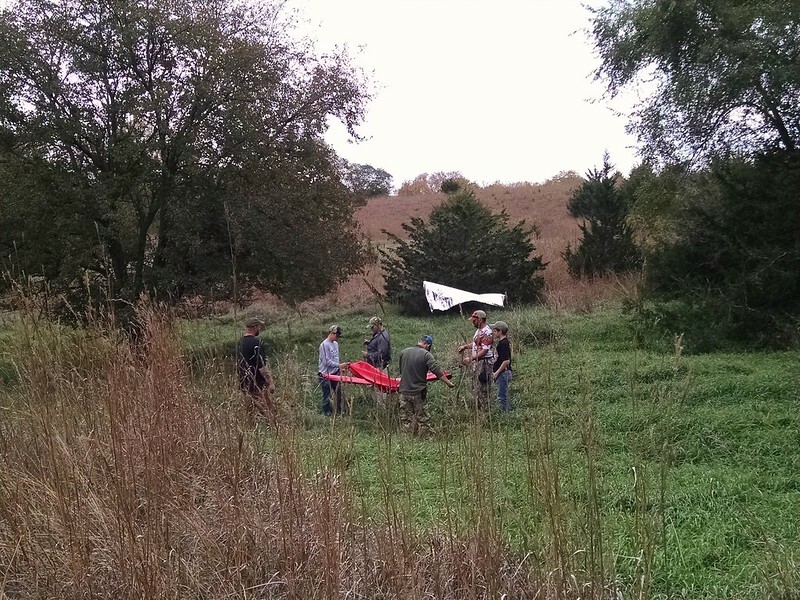 The Basic Survival Skills course is the first in our series of survival classes that involves spending the night in the woods of our 160 acre Tekamah Training Facility. 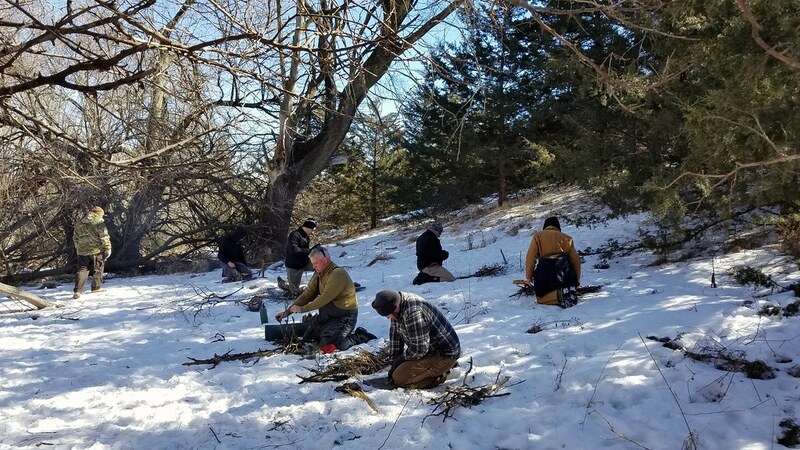 This course is designed to provide a challenging, yet comfortable experience so that students can learn time-tested outdoor skills and a mindset that are valuable for any backcountry adventure. Class starts with a gear shakedown in the lodge and transitions quickly out into the woods to our rustic parachute camp. 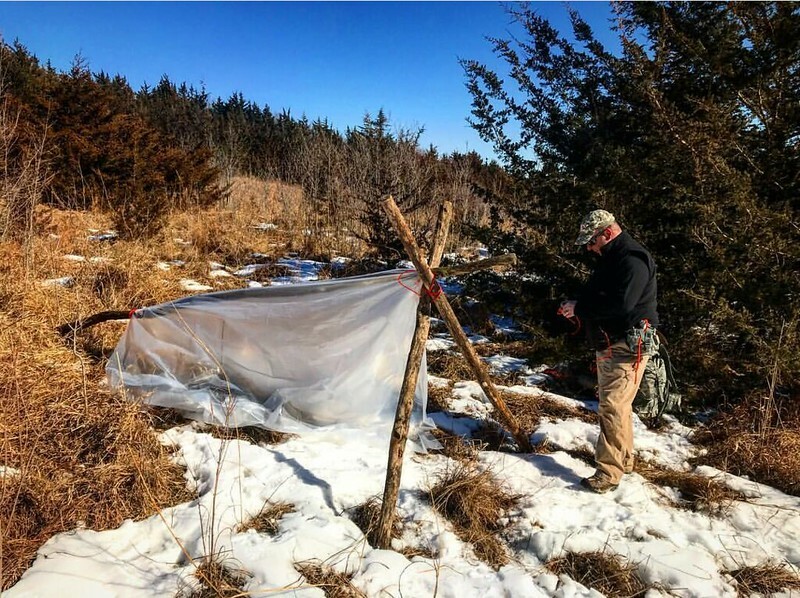 After a discussion on survival priorities around the group fire, students will be guided through the construction of their own shelters made from a combination of natural and man-made materials. 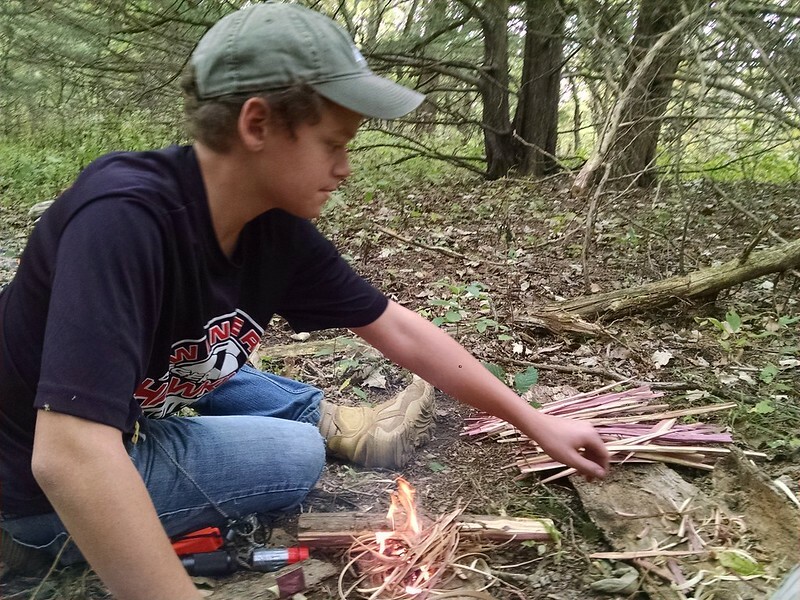 Once the shelters are up, students receive in-depth lessons and practice time on fire craft, tool selection, and other survival-related topics. 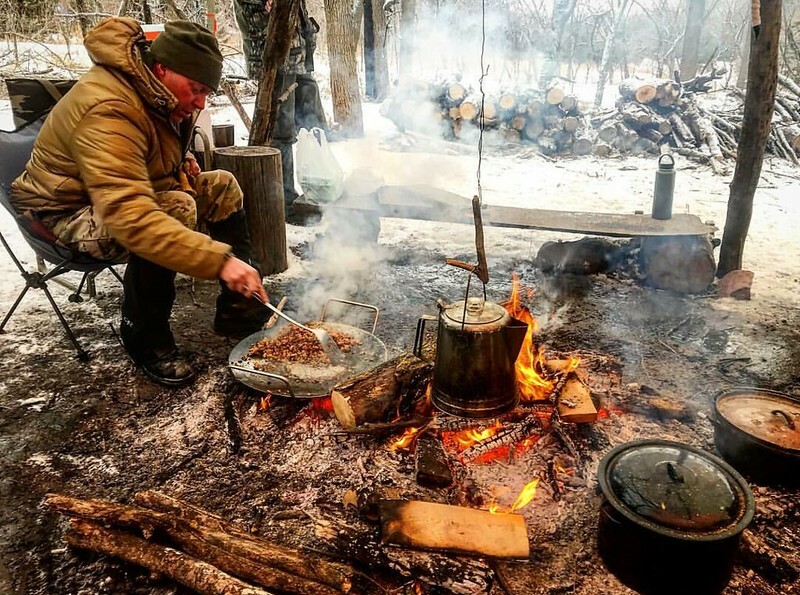 When the sun goes down, the instructor(s) prepare dinner, including dessert, over an open fire giving students the opportunity to work on knife skills and knot tying. 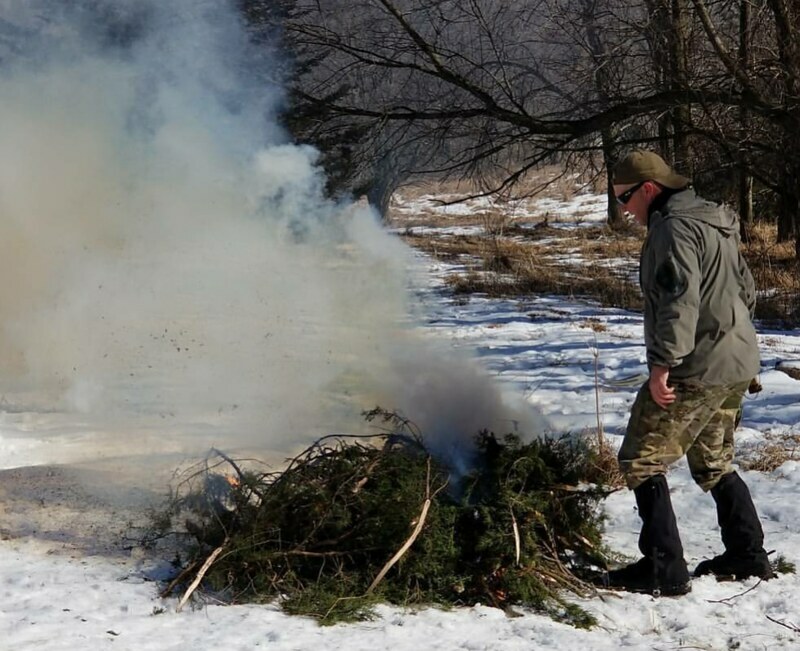 Day 2 includes breakfast prepared by the instructor(s), additional lessons on fire craft, emergency signaling techniques, all-natural shelters, and other topics relevant to the current conditions. 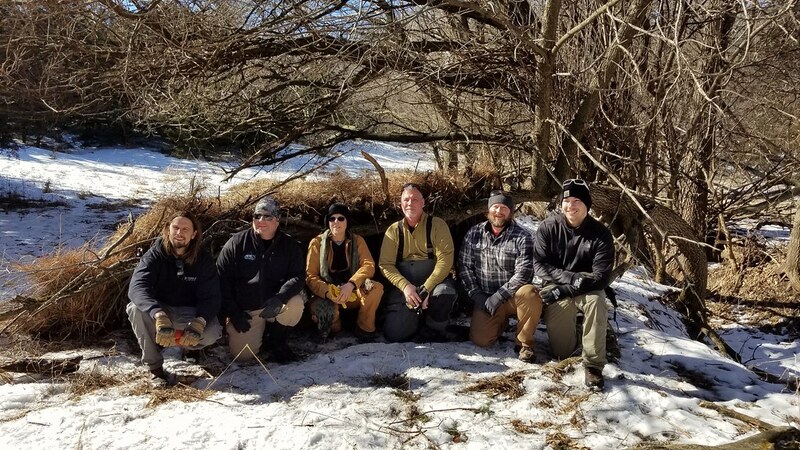 The confidence you will gain from our Survival Skills classes will remain with you long after the snow melts and ground thaws. If you still are not convinced, remember that the techniques we teach have been refined over many years and we take safety very seriously. There is always trained medical staff on hand as well as a temperature controlled bunkhouse for emergencies. 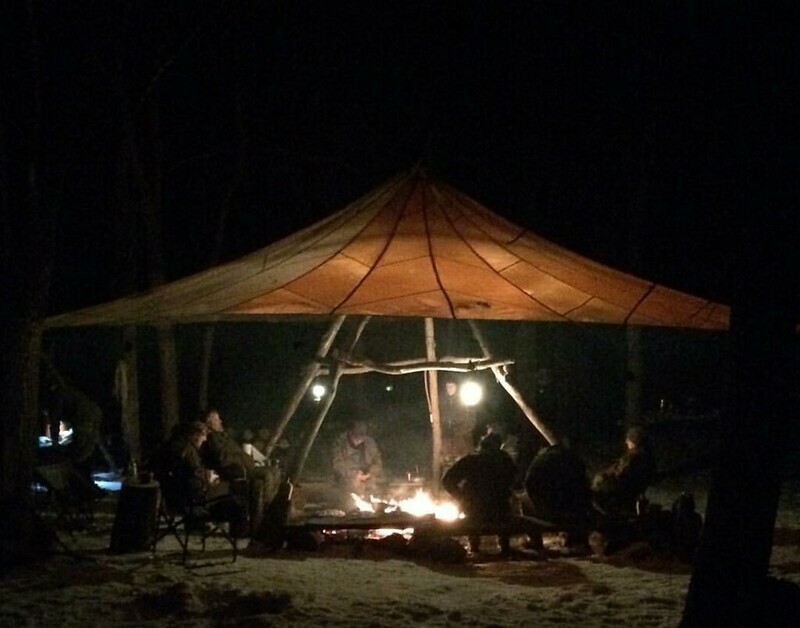 Winter is the best time to learn survival skills. Here’s why. Students must be at least 16 years old, unless accompanied by a parent or legal guardian. Students who cancel or re-schedule a minimum of 72 hours prior to the start of a class will receive a full refund or credit applied toward future classes. Students who cancel or re-schedule less than 72 hours in advance or “No-Shows” will result in forfeiture of 50% of payments and fees. 88 Tactical reserves the right to cancel any course offered due to weather or unforeseen circumstances. If this happens, all students will receive a full refund or credit applied to another class. actichy, rsnurkle, Lichen and 9 others like this. Pictures from previous Basic classes. JKR, AlexD, glen1100 and 13 others like this. If you guys have any questions feel free to ask. rsnurkle, chndlr04, madhob and 2 others like this. My son is signed up. I’ll be there to motivate him with poor humor and bad wit. XMP, Bigtone, Kurt992 and 7 others like this. @FoxLite Gear Don't wait to sign up lady! All of the good mud holes will be spoken for. Kurt992, actichy, rsnurkle and 3 others like this. That's an excellent course of skills and experience! And $250 seems more than affordable for most and much more reasonable than the cost of "other" classes. Too bad it's in Nebraska... and I'm not. That'd be a heck of a long drive for me, otherwise I'd be there. Kurt992, sea6ear, chndlr04 and 3 others like this. What are the course hours? I'm assuming folks flying in would want to arrive on Friday and fly out late Sunday or on Monday...? How far is this from the Omaha airport? Seems like a rental car makes sense. Probably a small SUV or a truck? Is there any sort of retail shop on or near the premises? For if a fella forgot stuff or wanted to upgrade something? Kurt992, icemanx722, chndlr04 and 1 other person like this. The class starts at 0900 Saturday morning and ends about 1500 Sunday afternoon. There are cabins and a bunk house for rent. The Field-craft Training Area is about an hour away from Omaha. Most times a car is fine. The closest place to get gear would be a Walmart about 25 minutes away. I always bring extra gear from Bushcraft Outfitters. Kurt992, chndlr04 and madhob like this. Thanks sir. I'll need that information to present to the Finance Director. Most likely won't be able to line things up work and life to do this, but my chances of success go way down if I don't try. IA Woodsman and chndlr04 like this. XMP, Kurt992, actichy and 4 others like this. Don't you worry, I will have a "special" spot for you. XMP, actichy, rsnurkle and 2 others like this. Plenty of mud holes during and after the unforcasted snow storm. Kurt992, actichy, rsnurkle and 1 other person like this. actichy and rsnurkle like this. There is a woman that registered her husband, son, daughter, and herself. Then there is Hobs Jr and a local pilot. That means 33.3% of the current registered attendees are women! actichy, JasonJ, rsnurkle and 1 other person like this. actichy, rsnurkle and Kurt992 like this. We'll save you a spot. actichy, rsnurkle and FoxLite Gear like this. I've lost my mind but I'm in. Registered. 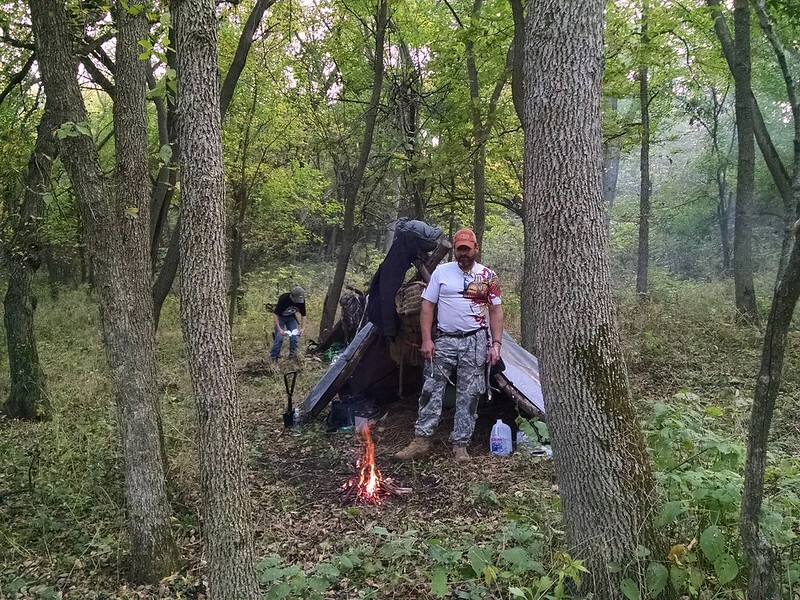 IA Woodsman, IAOutdoors, madhob and 4 others like this. Things are shaping up very nicely for this class. We have 10 people registered as of today. In addition, we’ll have a few former students, and maybe even a BCUSA owner, along for mentoring and moral support. rsnurkle, madhob, Jason and 3 others like this. Nothing too scary in the weather forecast for this event. rsnurkle, madhob, FoxLite Gear and 1 other person like this. It's official I'm in but I'm only coming to sign autographs, if you need anything I'll be in the lodge eating steak and sipping whiskey. Terry can you make me some breakfast? rsnurkle, icemanx722, FoxLite Gear and 3 others like this. My wife and dog have the lodge spoken for. We’ll give you the green building. rsnurkle, actichy and Jason like this. actichy, Jason and Kurt992 like this. actichy, madhob and Kurt992 like this. actichy, madhob, FoxLite Gear and 1 other person like this. The new forecast is calling for a little snow on Sunday. That sounds fun. If only they were mutually exclusive. Looks like there might be some rain fri/sat but hopefully not. I love snow the rain I can do without. actichy and FoxLite Gear like this. actichy and Jason like this. Kurt992 and actichy like this.